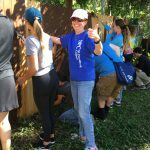 As part of the EVR 1001C Course, 24 students and Prof Kelli Stickrath visited the Suncoast Primate Sanctuary on Wednesday November 1st. 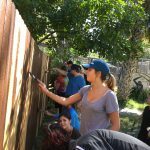 After a short tour, they helped the facility and had fun painting a fence next to the monkey cages. The facility is going to celebrate its 70th year in 2018 and SPC students are helping prepare for the big event. 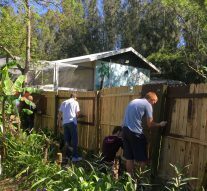 The SPS Board of Director President praised the group saying we put in 25 hours of manual labor that would have taken a volunteer a week to do what we did in an hour. Job well done by the SPC students! 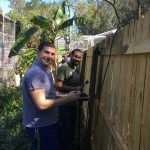 The Suncoast Primate Sanctuary provides a loving, enriching home to these great apes and monkeys raised in captivity and have been acquired via zoos closing, unwanted pets, and used in pharmaceutical research. The Sanctuary runs purely on donations and visitors. 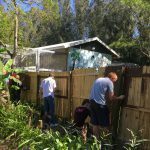 We were happy to help the animals by beautifying their home and enjoying the day at this treasure found right in Palm Harbor.